I am so happy to be sitting here, writing this post. When I first set eyes on this palette, I knew I had to own it. I mean, look at it! I must admit though, I’m not a loyal viewer of Jaclyn Hill’s videos, but she always smashes the collab’s she does with brands, and this is no exception. 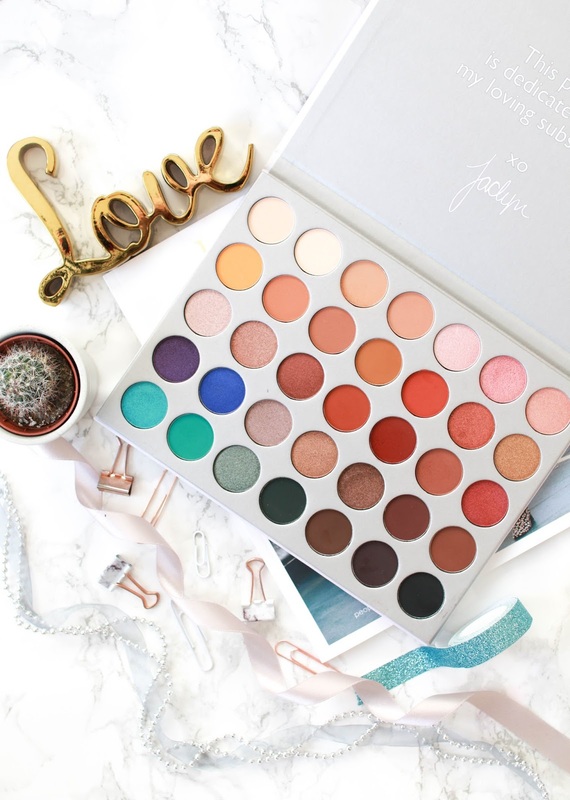 So, this is the Morphe x Jaclyn Hill Eyeshadow Palette. Morphe eyeshadow palettes are some of the best out there in my opinion, especially for the price point. Given, this is a little bit more expensive, coming in at just under £40, but for 35 shades you can’t really complain. I absolutely love the diversity of the shades in this palette, which is why it appealed to me so much in the first place. I never wear blue eyeshadow but the turquoise shade in the bottom left corner spoke to me for some reason. So much so, I decided to find a tutorial and recreate the look. I followed this tutorial if you’re interested in recreating it for yourself! Every shadow in this palette is immensely pigmented, as Morphe shadows always are. As I mentioned, the shade range is brilliant. Its a palette that works for day time and night time looks, very versatile. You can make a very natural look out of these shades, or glam it up and do a bold look. I feel like if you don’t already own many eyeshadow palettes, this would be perfect to have in your stash as you wouldn’t really need to rely on any other palette. Obviously, the makeup addict I am, this is probably the 14th eyeshadow palette I own, but I couldn’t resist. So this gets a huge thumbs up from me, I take my hat off to Jaclyn for creating such a perfect palette with so many gorgeous shades and some super sleek packaging too. If you haven’t got your hands on this yet, I would highly recommend!